Kathmandu: A 25-bedded Maternity hospital built on an Indian grant of Nepalese Rupees 26.90 million was recently inaugurated in Nepal’s Siraha district on Wednesday. The Chandra Narayan Yadav Memorial Maternity Hospital, equipped with all modern medical technologies, is built to provide access to maternity and health care services to the people of 50 village development committees (VDC) in and around the district of Siraha. The hospital was inaugurated by India’s Ambassador to Nepal Manjeev Singh Puri in the presence of several political leaders from the Himalayan nation. “The new facilities will provide improved maternal and child care health service to the people of Siraha and surrounding districts and help in bringing down the maternal and child mortality rate,” the statement added. Constructed through a Government of India grant, the hospital is equipped with ultrasound facilities, a blood bank, an emergency room, ICU, CCU, major OT, a minor OT, and other basic facilities. 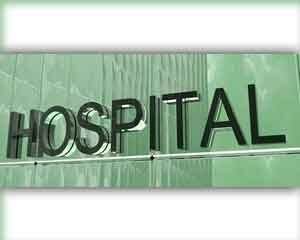 The hospital is being run by the Chandra Narayan Yadav Memorial Trust under the principle of no profit/no loss basis. The newly built infrastructure will help reduce the maternal and child mortality rate in the region. The inauguration ceremony was attended by numerous political and community leaders, including the Nepali Congress central committee member and chairman of Chandra Narayan Memorial Trust, Sita Devi Yadav, reports ANI.